Eligibility criteria for IBPS CWE PO exam? Am i eligible for it being in 4th year last semester of B.Tech? presently i am doing b.tech now i am in 4 th year last semister recently ibps po notification was released...i am eligible to this exam?? What is the eligibility criteria for TCS Recruitment? Am i eligible having 2 arrears in final year of BCA degree? Will hcl accept a candidate who was recruited by them if he has a backlog after recruitment? What are the dates to register for CWE exam conducted by IBPS? Also provide eligibility criteria for the same? Re: Eligibility criteria for IBPS CWE PO exam? Am i eligible for it being in 4th year last semester of B.Tech? Sorry, You are not eligible to apply for I.B.P.S Probationary Officers Exam MARCH-2012. Because you are in 4Th year last semester of B.Tech. 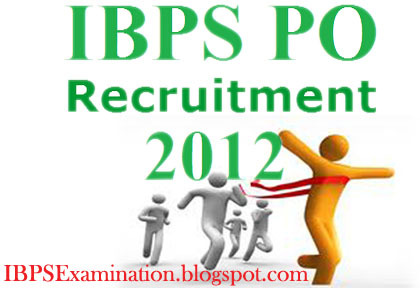 A candidate one who want to apply for I.B.P.S PO/MT March-2012 Exam. You can eligible for Next I.B.P.S PO/MT Exam. So dear aspirant,You have to wait for next Notification. I.B.P.S conducts PO/MT Exam Twice in a year . This is the 2nd time when IBPS going to conduct the CWE examination for P.O/Management trainee. The notification for the examination is already published on the official website of IBPS. The candidates can download the advertisement for any details regarding the examination. The interested candidates should have completed graduation in any decipline from recognised university/colleges. The age of the candidates should be between 20-30 years as on 01-01-2012. The candidates belonging to reserved category is given age relaxation as per government rule. SOO, YOU HAVE TO COMPLETE YOUR GRADUATION FIRST, FOR iBPs CwE PO EXAM. Yes,final year graduates are eligible for IBPS PO CWE exam.The IBPS exam is conducting every year for 19 public sector banks through one exam. 1.Person should completed the graduation. 2.Person must secured 60% aggregate in academics. 3.Age limit for CWE exam is 21 to 28 years. i had got 42% in 10th but i had completed graduation got 64% can i eligible for P.O exam. -->> No you are not eligible now. -->> As now you are studing in final year of graduation degree. -->> now we have the notification for IBPS PO exam. -->> In this notification it is mentioned that the candidate who have completed his/her degree in any discipline on or before 01.01.2012 are eligible for IBPS PO exam..
-->> The exam is scheduled on 17th of June, 2012. IBPS can conducts the common written exam.By these exam 19 banks are participated. IBPS conducts a CWE ( COMMON ENTRANCE EXAM ) to 19 PUBLIC SECTOR banks for the 1st time to the post of PO's / MANAGEMENT TRAINEE and CLERK CADRE. Educational qualification : You must pass the 10+2 in any recognized university/board. Age : Your age should in between 18-28 years. The upper age limit will be appear to the ST/SC/OBC candidates. You should have Degree any discipline from a recognized university or any equivalent recognized as such by the Central Government. The minimum percentage should be 60% to appear for the exam. For SC and ST 50% of marks . If you fulfill those qualifications you are eligible for the IBPS exam. i m in 6 sem of btech so i m eligible for IBPS PO exam. As per the latest notification issued by IPBS for the post of PO only graduates can apply for this exam. The graduation can be done in any discipline. It is important for the candidates to secure graduation from a recognized university or institute. You should be between 20 – 30 years of age for applying for this exam. There is age relaxation in case of the reserved categories such as SC/ST, OBC, PWD, Ex- service men etc. The final graduates are not eligible to attend the IBPS exam as per the latest notification. You can apply via online for this exam. You can log in to the official website of IBPS for more details. MY B.Tech is going to complete on april,am i eligible to appear IBPS PO? I got 44% marks in 10th but i am graduate with 50% marks, please let me know am i eligible for IBPS PO exam. Above mentioned is the date as well as eligibility criteria for po exam. Since,you are pursuing graduation you can not apply for po exam because whether its IBPS or any other bank they allow only those candidates who have completed their graduation not to those who are pursuing it.So,apply for po exam after when you complete your graduation.If you try to apply now you just wate your money as well as your form will reject.So,complete graduation first. 3.Then go to your left side chose CWE PO/MT MARCH 2012. 4.After choosing it click on "CLICK HERE To Apply For CWE Probationary Officer/Management Trainees March 2012. 5.After clicking it,chose apply online & a form will appear in front of you.Start filling correctly.Don't make any mistake. 6.Once you submit then you will get password & registration id.Take the print out of your online form. IMPORTANT:-Before start filling up the application upload your photo as well as signature. 1.Size of photo should be 20 kb to 50 kb. 2.Size of Signature should be 10 kb to 20 kb. Yes,you are eligible to apply for IBPS po exam.Banks allows those candidates to apply for po exam who have completed their graduation not to those who are pursuing it. I HAVE COMPLETED MY SSC FROM MAHARASHTRA AND COMPLETED COURSE IN ITI 2 YEAR COURSE.AM I ELIGIBLE FOR IBPS PO. EXAM? i have completed 2 years course in iti by completing my ssc .am i eligible for ibps po.? i am waiting for my result of B.A. final year. it will be declare in last week of june 2012. so am i eligible for the ibps cwe po exam? For applying to IBPS PO you will have to complete your Graduation First. Complete Degree in any discipline from a recognized University or its equivalent. Minimum Educational Qualification for IBPS PO is a Complete Graduate Degree in any Discipline. You are in final year, so coplete your graduation first, then apply. You are not eligible to apply for PO. Minimum Educational Qualification is a Graduate Degree in any Discipline from a recognized university. So, complete your Graduation first then apply. Sorry to say but you are not eligible to apply for IBPS PO. A Complete Graduate Degree in any Discipline from a recognized university. and friend you are in last year of your Graduation. If you have ITI after SSC then you are not eligible to apply for IBPS, because ITI is not a Graduate Degree or not equal. No, you are not eligible for applying to the Probaitonary officer post. As told above that you are still perusing degree, so you are not eligible. After completion of your degree you will be eligible for the exam. No, you are not eligible for Probationary officer post, because the minimum qualification required is must passed Bachelor degree (Any specialisation). Other than PO, you are eligible for applying Clerical post only if your percentage in SSLC is 60% or 55% in PUC. As you had passed out Graduation, you are eligible for applying Probationary officer post. Now what, just start studying as per the syllabus. Beside this try to solve previous year question papers / Model Question papers for getting an idea about the questions pattern. No, you are not qualified to receive applying to the particular Probaitonary representative post. As advised previously mentioned which you are always perusing level, therefore you are not eligible. Immediately after end of one's level you will be qualified to receive the particular exam.